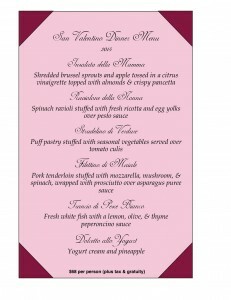 Our Special Valentine’s Day Dinner Menu! 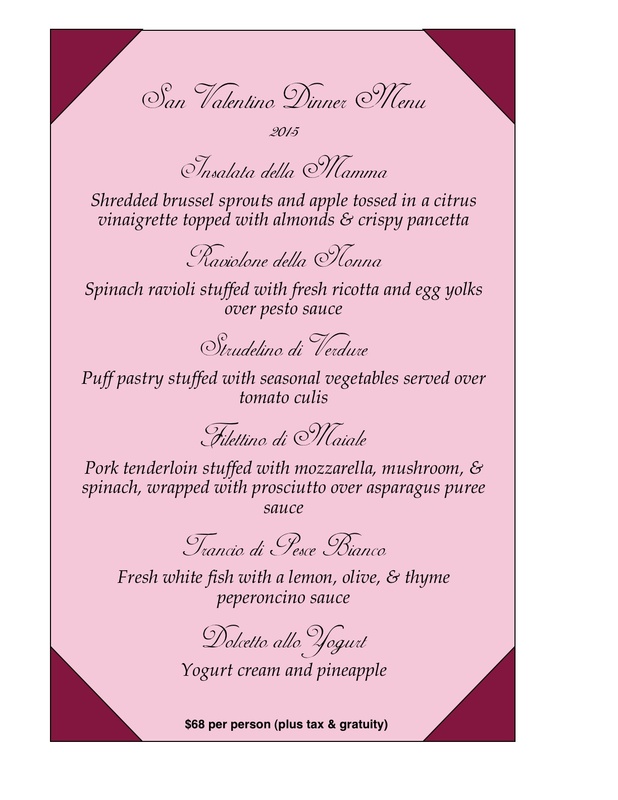 We are taking reservations starting at 4:00p.m. until 10:00p.m. This entry was posted in News and Events on January 31, 2015 by Bellagio.